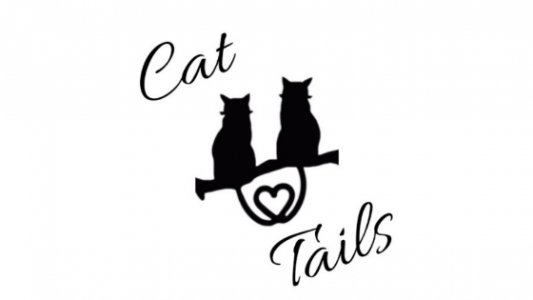 Cat Tails – My experiences living with and caring for cats for over twenty years. You’ve more than likely come across a cat, or two, that seemed innocent and cute, until you tried to pet it! Cats who bite, claw and attack strangers and sometimes even their owners…. are like little terrorists! Only with fur, fangs and claws! No one wants to end up with a cat like that, or a cat that hisses, growls and hides from people. There are a number of things that can lead a cat to act in such a way. Some of those reasons could, possibly, be related to health. Therefore, if you have a cat who suddenly becomes aggressive, or that starts hiding, please take them to a veterinarian. What I’m going to focus on, is; how our behavior can influence our cat’s behavior. This is especially important when you’re raising a kitten. What you teach them and the experiences they have, in their youth, will shape how they act, in the future. First, it’s extremely important to socialize a kitten. Not just with people but, also with other pets. The American Veterinarian website, has an excellent article on the proper way to do so. Of course, you should give the kitten a few days, to adjust to new surroundings, before doing so. Second, you need to teach your kitten that biting people isn’t ok. The way I taught all four of my cats, was to gently stick my finger in their mouth, just far enough to hit the gag reflex. You only want to do so, for a split second. They quickly learn that biting, isn’t a pleasant experience! If you would rather, you can try blowing in the kitten’s face, instead. Cats don’t like it and they’ll usually stop, when you do. Whatever technique you choose, you should loudly say, “ouch,” when the kitten bites. This reinforces the message that you don’t want to be bit. If the kitten is really out of control, grabbing it’s scruff (the extra skin at the back of its neck, above it’s shoulders) and saying “no,” works. However, I like to use that as a last resort. You should, also, avoid using your hands, fingers, feet or your clothes, as toys. For instance, putting your hand under the covers of your bed, and moving it around to provoke the kitten, is teaching the kitten that it’s acceptable to attack your hands! Use a toy with a wand on it, instead. Anytime you play with the kitten, a toy should be involved. Also, if you have children, it’s important to teach them that they need to be gentle with the kitten. Squeezing, hitting and playing rough with it, can result in a fearful and or aggressive cat. Another thing that can impact behavior is being left alone, for extended periods of time. Kittens require time and attention. If you’re gone all day, it’s a good idea to have someone that can stop by, check on, and play with, the kitten. Playing with the kitten on a daily basis, will not only help tire it out, it will help you raise a happy, friendly cat, as well. Bonding is another bonus! I am not associated with, or receiving compensation from any of the websites I’ve linked to. I’m only sharing helpful resources, combined with my personal experiences. Please, always consult a veterinarian when caring for pets! My cat, Scrappy, that some previous neighbors abandoned, before I rescued her in the winter of 2014. There are so many cats that are feral, stray or that have been abandoned by irresponsible owners, that I felt this was important information to share. However, before taking any action to help a cat, please find out the laws pertaining to stray and feral cats, in your area. There are places that prohibit feeding them and in some instances, by feeding a cat, you become it’s lawful owner. That’s why it’s important to know the laws, before you act so that you can decide what’s best. While waiting to hear from any potential owners, providing food, water and shelter could save the cats life! You can leave these things, in the area where you’ve repeatedly seen the cat. A mixture of dry and wet cat food is best because it could have problems eating dry food, if it has untreated dental issues. A shelter can be made very inexpensively. There are many options for doing so. A good shelter could be made out of a large, old cooler. Just cut a hole, big enough for a cat to get through, in one end. Another option is to use two plastic storage containers with some foam insulation, in between the two containers. Here’s one that I made for my cat, Scrappy, when she was still outside. The Alley Cat Advocates website has really good instructions on how to make your own cat shelter. Just click on the word “instructions” above and then click on the icon that reads: “Download Pdf.” Once you’ve made a shelter, place it in the same area where you’ve been feeding the cat. You do want to leave, at least, a little space in between the food and the shelter, as the food can draw the attention of other animals. If you haven’t heard from someone claiming the cat, within a week or two, you need to decide what to do with the cat. If it’s truly feral, meaning it doesn’t want human interaction, at all. Then, it should be trapped and taken to a shelter that has a trap, neuter and release program. If you can’t find a shelter that participates, in your area, you can approach the shelters near you, about starting a program. The Alley Cat Allies website goes into much more detail about how to do so, here. If the cat is trapped and taken to a shelter they will evaluate whether the cat is adoptable or not. If it is adoptable, they will put the cat up for adoption. After it has been sterilized, received shots and any needed veterinary care. If the cat isn’t adoptable, the shelter will get in touch with you after the cat has recovered from surgery, to take the cat back where you trapped it, for release. Doing this helps cut down the feral cat population. If the cat is friendly and, like I did, you decide you want to try to integrate the cat into your household, it’s important that the cat receive veterinary care before you bring it indoors. Not only for the health of any other pets but, also for the health of yourself and your family. Cats can be carriers of parasites that can be transferred to humans. It’s also important that the cat be tested for Feline Leukemia (FeLv) and Feline Immunodeficiency Virus (FIV) before being around any other cats. There are no cures for either disease and they are contagious to other cats. A cat with FeLv should not be with other cats under any circumstances. My cat, Scrappy is FIV positive. My husband and I, integrated her into our home, with two other cats, without any issues. It took quite a while to do so but, I’m really glad that we did. She’s a good cat! I am not a veterinarian nor am I affiliated with or receiving compensation from any of the other websites that are linked to, in this blog post. Please always consult a qualified veterinarian for advice when dealing with cats. Top cat is Gonzo. Bottom cat is Princess, who was very overweight, at that time. Taken in 2006. I look back and can’t believe how overweight my cat, Princess, was in 2006! At the time, I didn’t even realize how big she was. I went through a few tough years and in those years, my cats missed a few annual checkups. I highly recommend that you take your pets to the vet, at least once a year. Senior cats should be seen every six months. That’s how diseases are spotted and treated, before they become a serious issue. Unfortunately, that wasn’t how it happened for Princess, and I still beat myself up for it, to this day. In the summer of 2009, Princess started losing a lot of weight, and fast. Her hind legs began sliding out from underneath her, as well. I suddenly couldn’t keep up with the litter box, no matter how often I scooped it! She was also drinking so excessively, that, she would lay next to the water dish, to drink. She was diagnosed with feline diabetes and neuropathy in June of 2009. Neuropathy was the result of having high blood glucose levels, for an extended period of time. It’s, basically, nerve damage that’s caused by uncontrolled diabetes. Feet that slide out from under their body and/or weak legs. Not all cats will have all symptoms and overweight cats are at a much higher risk. Cats are treated with insulin injections and Princess received them twice a day. She was on them for four years! The veterinarian also had me put her on a dry cat food with lower carbohydrate and higher protein percentages. However, her condition didn’t improve and she also developed Inflammatory Bowel Disease! “In 2012, I took a leap of faith and decided, against our veterinarian’s wishes, to start feeding both of my cats, a raw pet food. Rad Cat was just about the only raw cat food on the market, at that time, that could be purchased locally. So, that’s what I switched my cats to. At first, my cats didn’t want to eat it. It wasn’t until I mixed it with canned food, that they devoured it! I started weaning them off of kibble and slowly replaced it with more raw and canned food. Princess at a healthy weight in 2016, after feeding raw cat food! On April 1, 2019, Princess will be turning 19 years old! If you want your cats to live a long, healthy lives, feed them a species appropriate diet! Dry food is not a good choice for cats, as it does not provide enough moisture and the percentage of carbohydrates in them, is far too high! (There’s a reason feline diabetes and kidney disease are becoming so common in cats!) Think about what a cat would eat in the wild. Cats should be fed, either, a low carb, high protein canned/ wet food or a raw cat food. I, actually, mix the two. I was having issues with Princess, recently, after the company that made her raw food, went out of business. However, I found an alternative and she’s doing really well, again! If you would like to know what I feed her, leave a comment. I highly recommend doing a little research, yourself, to try to find the right food for you and your cat. There’s a really good comparison chart on the website catinfo.org that’s written by Lisa A. Pierson D.V.M. that shows carbohydrate and protein percentages for a large variety of different brands and kinds of canned and raw cat foods. I’ll leave a link to that chart, below. I hope you find this information helpful and that it keeps someone else from ending up with a diabetic cat! I am not affiliated with nor am I receiving compensation from the website, it’s author or any of the food companies listed on the website or cat food chart that I am linking to below. You should always consult with a veterinarian when switching your pets food. I’m not a vet, I’m simply sharing what worked for me and my cat.